Before the Civil War, African Americans had limited educational opportunities. White children had access to tutors, private academies, and, in some areas, public schools. By contrast, black children, whether enslaved or free, rarely received formal schooling. 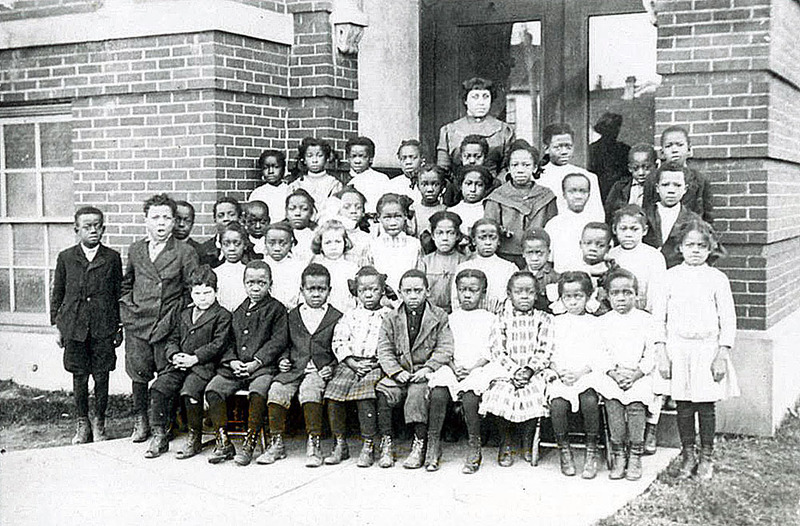 In 1869, the Indiana General Assembly passed legislation requiring separate schools for African Americans. 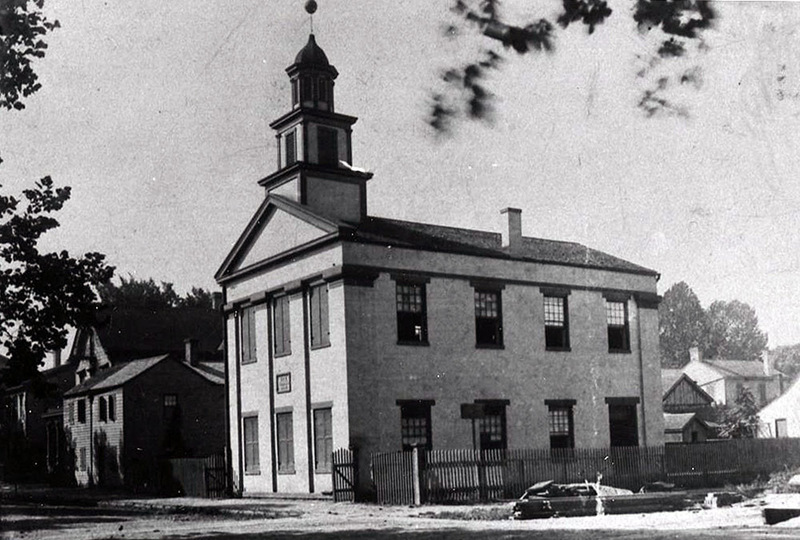 The law compelled municipalities to provide for school buildings and basic schooling for African Americans. 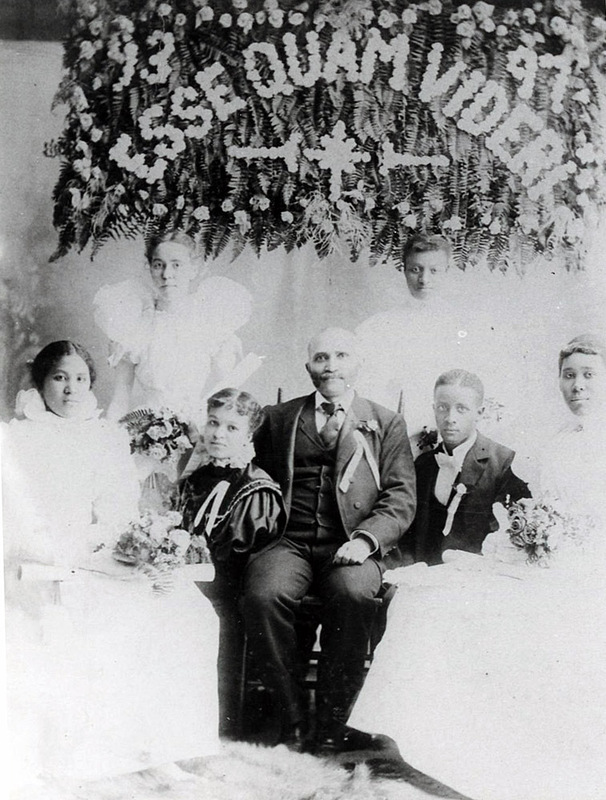 Not until 1880, however, did New Albany establish a high school for black students. In that year, two black boys, “Mitchem and Sparks,” sought to enroll in New Albany’s female high school. The school board responded by devoting New Albany Boys High School to African American education and consolidating the male and female high schools. 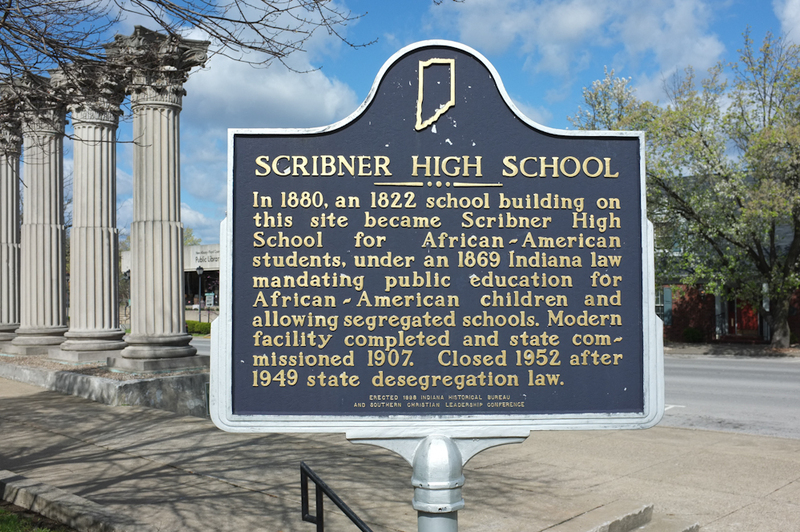 In 1887, the board changed the name of the former boys high school to “Scribner High School for Negroes.” It served as a pillar of African American education in New Albany for decades. 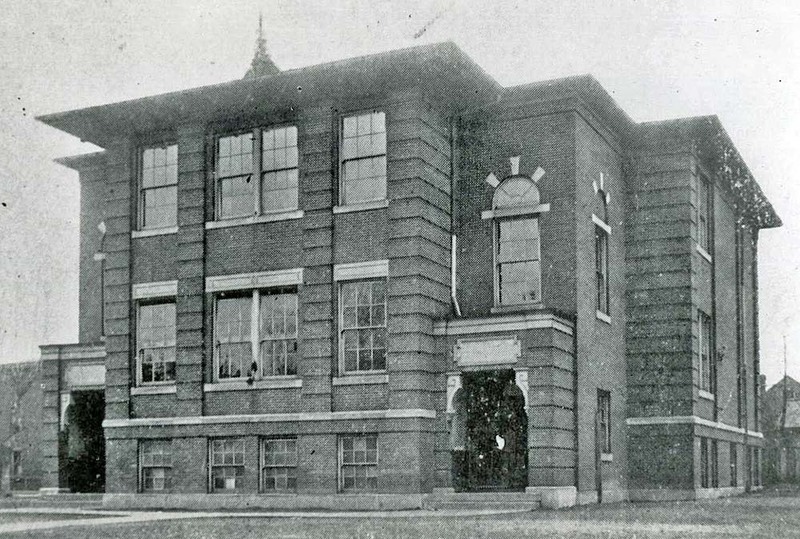 Scribner High School occupied a two-story frame building that had been erected in 1853 as a public school. It stood at the corner of West First and Spring streets. 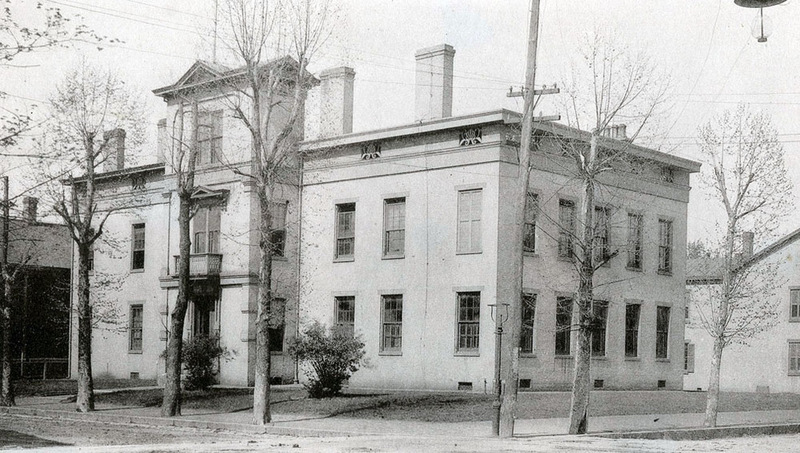 During the Civil War, the Union Army used the building as a hospital. Classes resumed again late in 1864. 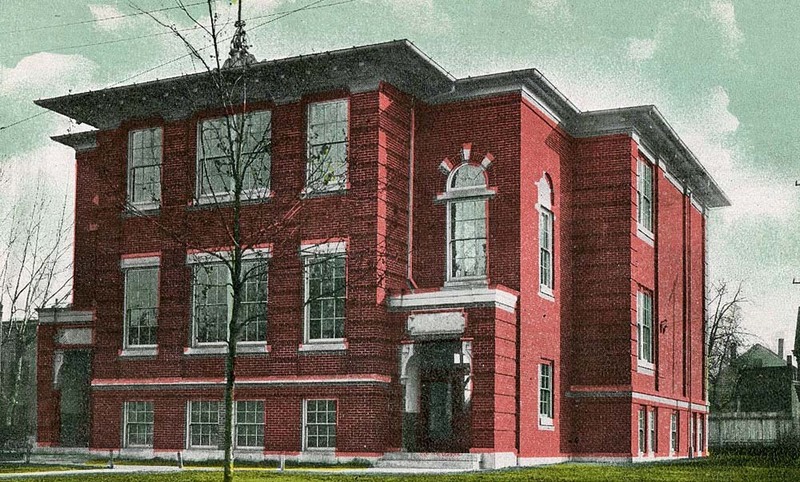 In 1906, the school board decided to replace the aging building with a new “modern” structure. 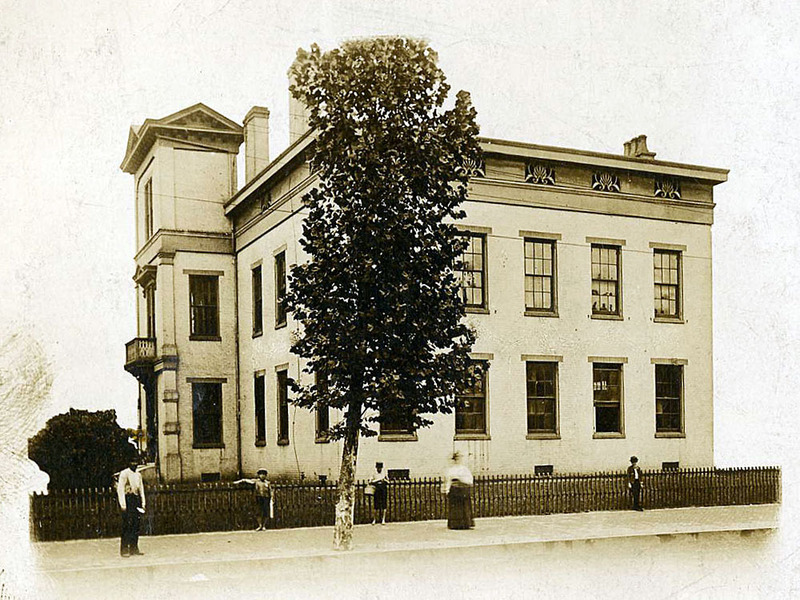 S. Day & Sons erected a handsome, three-story red brick building with Neoclassical accents. 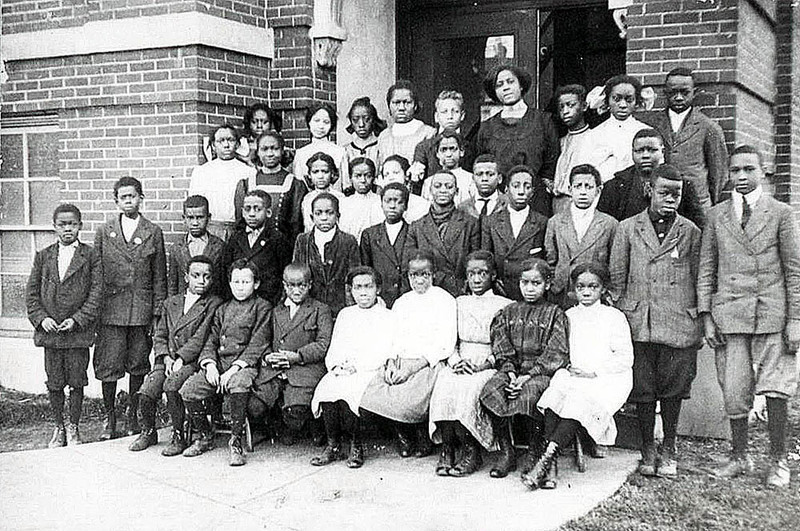 Scribner High School continued offering high-quality instruction for African Americans in later years. Thousands graduated from Scribner during its more than seven decades of operation. In 1949, Indiana mandated integration of public schools. Three years later, local officials closed Scribner and leased the building for commercial use. It was demolished in 1959 to make way for the City-County Building. 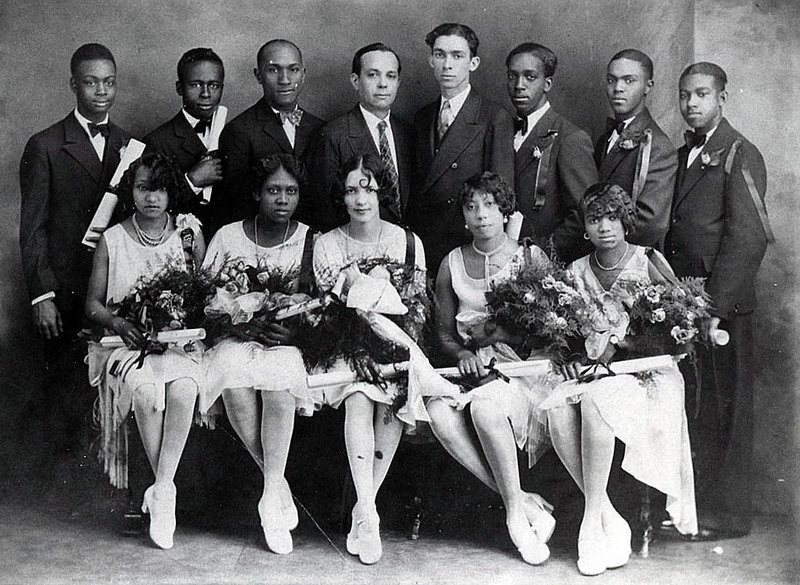 Scribner is today revered for its role in educating generations of African Americans during the era of racial segregation. A historical marker erected in 1997 honors the institution and its legacy. 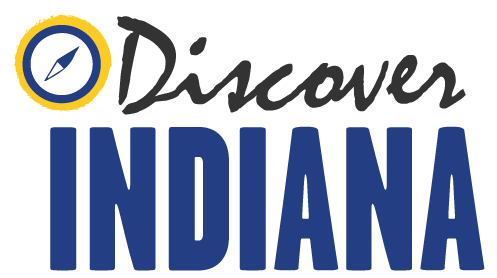 Alex Covington, Jacob Burress, Trish Nohalty, and Tommy Skaggs, “Scribner High School,” Discover Indiana, accessed April 25, 2019, https://publichistory.iupui.edu/items/show/130. Published on Jan 27, 2016. Last updated on Apr 2, 2019.